Successfully Added Protective 1600mAh Solar Battery Case for Mobile Phones (HTC, Samsung, Nokia, Sony, More) to your Shopping Cart. Pocket-sized protective solar battery case for your Android smartphones, Windows 7 phones, HTC, Samsung, Nokia, Sony Ericsson, and any other USB powered mobile phones. This convenient device comes in a pocket sized form-factor so you can comfortably bring it with you wherever you go. It forms a protective layer over your phone to prevent any damage, while providing a convenient stream of power to your phone thanks to the solar-powered battery. This ensures you’ll always have enough power during those extra long conversations, or simply enough juice to keep you surfing the web or playing games longer. Using the solar charger is fast and easy too. Simply place the solar charger in sunlight to charge the internal battery or charge it via USB. Then once the device has some juice, simply leave it connected to your smartphone and let it recharge away! 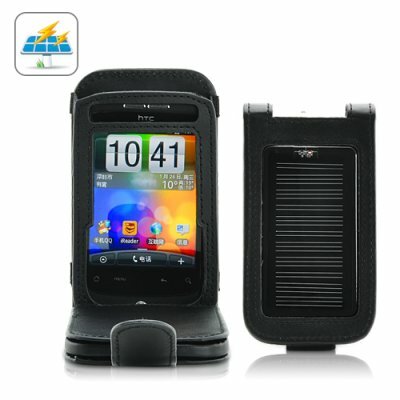 For a free power source for your phones that you can use almost every day, this Protective Solar Battery Case is it! Give yourself piece of mind knowing that you can always power your smartphone wherever you are. This product also makes for a great resale item, purchase in bulk for an even lower wholesale price! For best results place in direct sunlight.